RNR Custom Engines Teaser from Vas Media L.L.C. on Vimeo. THE RMC V30 HAS ARRIVED! 1). The V30 is a true simultaneous 4-axis, PC-based CNC-controlled machining center equipped to handle precision engine blueprinting. 2). The digital probe is a one-step precision process for block setup and pre-machining block checking of bore diameters, locations and deck heights. 3). The V30’s 360° 4th Axis Rotary Table and block fixture allows specific angle positioning of even the largest blocks for lifter bore machining, splayed caps, block lightening and a variety of other 4th axis operations. 4). The V30’s tool setter is extremely accurate. 8). 4th Axis 360* rotary block fixture Main Cap machining fixture. 9). The V30’s Line Boring allows fast and accurate align and cam boring operations. The finish is so fine and accurate that there is no need to align hone the block afterwards! 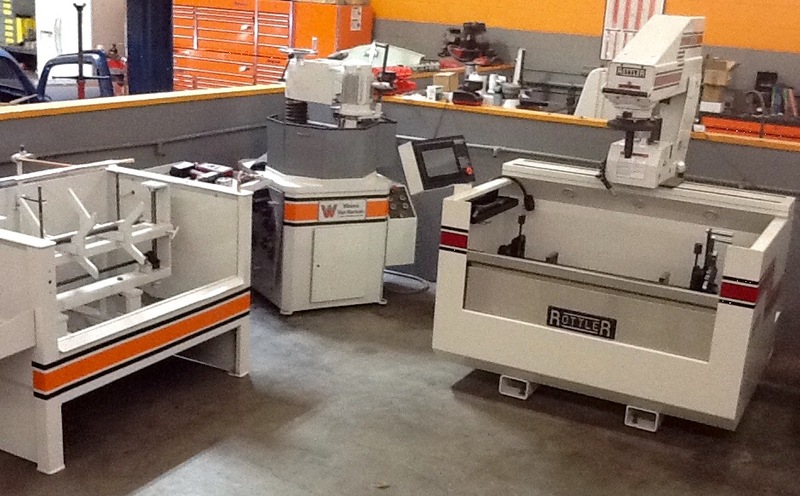 RNR has a new employee, Rottler HP7A CNC Diamond Hone. The only automotive cylinder honing machine on the market with Automatic Pressure Control! A must for diamond cylinder honing. The HP7A allows for faster honing without bore distortion. Program the desired roughing and finishing loads and walk away! Without automatic pressure control the machine will continue to build pressure on cylinder walls when honing with diamonds causing bore distortion. The Rottler system controls stone pressure on cylinder walls thus reducing bore distortion and decreasing honing time. The HP7A control is easy to understand and simple to use. The control handles a wide variety of precision bore finishing work – from automotive and diesel blocks to motorcycle, outboard marine, snowmobile, airplane, and industrial applications. • The digital bore profile display projects exact profile of the bore during honing. • The computer senses any taper and automatically dwells or short strokes – automatically correcting the tight area. • 2 stage roughing and finishing cycle allows fast stock removal for roughing and light loads for finishing – for productive and accurate cycles. • Infinitely variable hone head RPM allows high speeds for roughing and a slower speed for finishing, giving the desired cross hatch angle and surface finish. • The finishing cycle operates much like a “spark out” system where there is very light stone load resulting in accurate bore geometry and consistant surface finish. • Automatic Plateau Mode holds the stones at a preset load and counts down the number of strokes so that each cylinder has the same surface finish. • Manual buttons are provided for fine adjusting settings during automatic cycles and R&D.